Did you finish work late in the year? Have job opportunities dried up in your sector? Have you recently been retrenched? Has a contract assignment concluded? If you find yourself in any of these circumstances you are now in that dreaded job drought that results when the bulk of industries shut off and shut down, over summer. “That doesn’t help me” you say and you’re right. The dive that companies experience when it comes to employment in January is not a Jobseeker’s best friend. What’s more, it may be March before companies are ready to hire. At that point there are new Jobseekers on the market, thanks to New Year’s resolutions so even when jobs surface it’s doubly competitive! What is a Jobseeker to do? Here’s a quick guide to assist you get back to work faster in the New Year. Look on job boards such as seek.com and Indeed.com for opportunities. Don’t be surprised if there is little to nothing advertised. Put your application in, however be prepared for it to take time for recruitment decision makers to come back on deck. 2. Allow Recruiters and Hiring Managers to find you! You have time so spend more time on inwards work to prop and present yourself to prospective employers. We are in a market where hiring managers and recruiters avidly search for the right candidate and you need to be where they are looking. 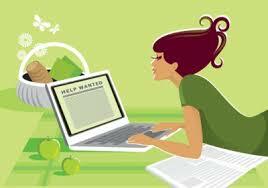 Two must have places you would ensure to have your resume or bio up to date is on Seek’s Talent Pool and LinkedIn. More companies are using seek.com‘s Premium Talent Search function to search directly for resumes that match job requirements. I speak to many recruiters and their biggest frustration when it comes to advertising is how many inappropriate responses they get. So many candidates apply to jobs for which they are unqualified and it drives the recruiter spare. To the point that the recruiter may opt to purely search the job board’s database instead of advertising. Ensure your resume is live on seek, recently updated so you can be found! The next is LinkedIn which has two ingredients to make it work for you. 1st is your profile; 2nd is your connections. When developing your profile complete al fields and pack it with your skills. Your job title is one that is commonly searched for. Many employers who are looking for an employee from a certain sector in a certain job will do an exact search of company and job titles. If you are too weird and wonderful you may be overlooked in a standard search. Once your profile is complete (LinkedIn will tell you) you need to connect with people. Start with previous peers, managers and subordinates. The reason is someone may be looking at your peer’s profile but you may be a better fit for a vacancy. If you are connected you will come up on the search. Then connect with peers and managers of other companies that you would like to work for – especially the recruitment and HR function as sophisticated in house recruitment teams will use LinkedIn. As part of your connecting process be sure to look at Groups. Look up groups and invite yourself to be in industry, discipline or subject matter groups. Your exposure to potential employers goes through the roof through group membership as you don’t have to be connected with a hiring manager per se for them to find you. If you share membership of a mutual group you will be found. If you are within an industry it’s important to be connected with others from a similar industry. Think of industry memberships and associations. Seek out those companies that are growing..have new projects, new clients, expanding divisions. Find those people that could assist you with your search and as soon as they are back make the connection, introduce yourself, catch up for a coffee. If you have worked on contract it’s amazing how quickly you can generate more work merely through a catch-up. Many people over think this but you may have just slipped off the radar. That person may be inundated with work and you’re exactly the fix they seek. A catch-up can lead to a contract very quickly. Even if it’s a medium term opportunity- new year catch-ups when the work load is lighter is a great strategy. 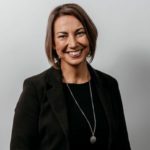 Article written by Maree Herath, Director of Geelong Recruitment Agency, Harvest Recruitment.